Biosafety level laboratories (BSL) are designated by the Centers for Disease Control and Prevention (CDC) based on the biocontainment precautions required to isolate biological agents such as bacteria, parasites and viruses. We manage biosafety level 3 (BSL3) containment laboratories on the UNMC campus that can be used for general scientific research. 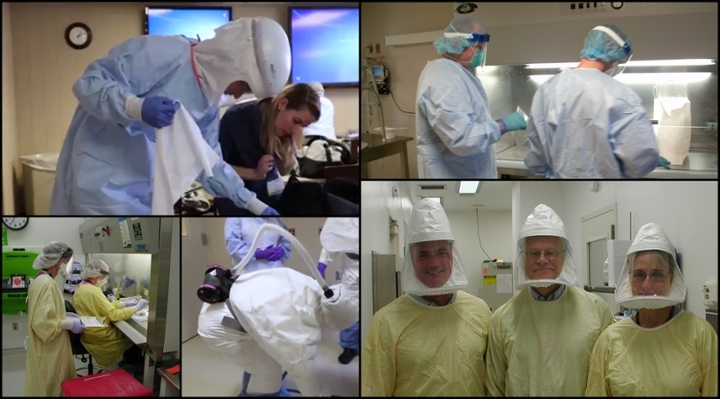 The National Ebola Training and Education Center (NETEC) involves the University of Nebraska Medical Center/Nebraska Medicine, Emory University and the New York Health and Hospitals Corporation, Bellevue Hospital Center. Each institution has safely and successfully treated Ebola patients. Using this knowledge, they have been hard at work educating other health care facilities and public health departments nationwide. Information regarding the BS3L laboratories and their utilization can be obtained by contacting Steven Hinrichs, M.D.